It’s still a struggle to do business as a black person with both the private sector and the government, says Ntokozo Ntuli. She isn’t alone, says black business groups. Ntuli, who runs Durban-based interior design business N2 Design Box, says she often has to battle red tape to get onto government supplier databases and “historical racist barriers” to source business from large companies. While she says appearing in 2015 on the SABC TV show “Win a home” has helped build her firm’s credibility, she feels her experience – which includes work done for a shopping centre, ice rink and convention centre – often counts for little, even when dealing with black executives. What is needed is real talk by the government and others on how to develop small businesses. Ntuli says a 30% set-aside of state procurement for small businesses announced by President Jacob Zuma in his State of the Nation address in 2015 (but still to come into effect) might help. National African Federated Chamber of Commerce (Nafcoc) president Lawrence Mavundla agrees. He says while government policies such as Black Economic Empowerment (BEE) have done much to unlock opportunities for black business, other policies have not been “friendly” to black enterprises. He singles out the Preferential Procurement Policy Framework Act (PPPFA), which he argues has focused too much on price and not enough on transformation. He adds that policies haven’t encouraged enough new entrants, with the economy still highly controlled by a few large companies. The National Treasury in June 2016 issued new draft procurement rules which specify that 30% of the value of contracts of R30-million or more must be subcontracted to small businesses. While the National Treasury doesn’t distinguish between black or white small businesses, President Zuma in an address to a Black Business Council (BBC) dinner in September 2016, specifically mentioned that a 30% subcontracting provision would apply to “small and emerging enterprises owned by the women, youth, black people or persons with disability”. The President said in October that a recent amendment of the PPPFA to provide for BEE preference points had not led to the desired impact. He said the Act will be repealed by the Public Procurement Act which would be tabled in Parliament early next year. President Zuma says the state must help fast-track economic transformation because black business is still marginalised. Figures from the Finscope 2010 Small Business Survey attest to this and indicate a significant gap between white- and black-owned businesses. They reveal that while black people (black African, Coloured, Indian and Chinese South African) run over 80% of the country’s businesses, just 2% of black-owned firms have five or more employees. Among white- owned businesses 14% employ five or more people. Among those who back set-asides are National Black Contractors and Allied Trades Forum President Sam Moleshiwa. He wants set-asides to replace the Construction Industry Development Board (CIDB) grading system for contractors, which he believes limits transformation. He points out that the same few companies repeatedly get most of the big contracts. In addition more than 40% of the association’s 12 000 members are classified as grade 1 contractors, restricting them to contracts of no more than R650 000 in value. Outgoing BBC chief executive Mohale Ralebitso says the business body is in the process of engaging with the National Treasury to draft new procurement rules. The group has been instrumental in pushing for the PPPFA to be overhauled and for calling for set-asides for small businesses. The BBC has proposed that 50% of the procurement points be allocated in a manner that will address the targeted groups as contemplated in section 217 subsection (2) of the Constitution. Ralebitso believes the current financial system and regulatory environment favours the continuation of the old system, one which benefits old capital which still reflects white dominance. Further, he says the dominance of monopolies and oligopolies prevent many black businesses from emerging. “It is only through a transformed and wholly inclusive economy that we will truly realise growth and break out of the single-digit growth territory,” he stresses. This, he says, necessitated a review of the BEE codes of good practice and gave rise to the establishment of broad-based BEE which aims to broaden wealth creation and distribution through a market-led approach. The revised BEE codes, which came into effect in 2015, have increased the weighing of points to big companies that support and buy from black suppliers. Ralebitso says firms that have embraced BEE have seen heightened activity within their supplier and enterprise development portfolios, which has not solely benefited the companies but also the economy at large. The BBC was also instrumental in driving the call for the Black Industrialist Programme. The programme, which was launched by the Department of Trade and Industry in February, aims to promote and fund more black businesspeople to be active participants in big companies. President Zuma said in October that 22 Black Industrialists projects with a total value of R1.2-billion had been approved, and over 1 000 direct jobs supported. The National Empowerment Fund (NEF), which has approved over R7.6-billion to 770 black businesses between 2004 to March 31 2016, is expected to play a key role in funding black industrialists. NEF spokesman Moemise Motsepe says many of those it invests in, face limited own capital and strong competition from established businesses with entrenched market dominance. To address this, the NEF offers finance of up to R75-million and assists those it funds to facilitate off-take agreements. Motsepe says the recapitalisation of the NEF by the Industrial Development Corporation (IDC) looks set, and the plan is for the NEF to become a stand- alone subsidiary of the IDC. “There is agreement between the Department of Trade and Industry and the Department of Economic Development for the IDC to proceed with the initial recapitalisation of the NEF to the value of R1-billion,” he says. Among those the NEF is financing is southern Africa’s first syringe manufacturing business, Kenako Medical. The funder is putting R75- million into the company in the form of debt and equity and has taken a 49% share of the company. A factory will shortly be set up in the Coega Industrial Development Zone. The company’s owner, KwaZulu-Natal born engineer Jonas Gutu, says the sod turning process is set to take place in March. Work was initially to have started on the factory in December this year, but Gutu says there were delays in signing technology and equipment contracts. The factory is set to start operating in late 2017, with 300 employees. It is expected to produce 200 million units of syringes a year. Most of these will go to supply foreign firms. He’s reluctant to base his business on tenders, because of the uncertainty based around winning a bid or not. A local black company could easily undercut him by importing from China, he adds. “As much as we want to be part of a set-aside, it’s not guaranteed,” he says. But he says with wages rising in China, Africa is now opening up as the next frontier in manufacturing. Gutu, who lived for some time in the US says support for black business has picked up. “I came back basically to give back to South Africa and I appreciate the support from taxpayers.” He says he never applied for finance from private financiers or banks because he’d read how difficult it was for black entrepreneurs to successfully do so. Gutu says the country needs more active black owners of companies and adds that taking equity stakes in existing companies will only enrich a few individuals. “The best way to ensure empowerment is to ensure that you provide an environment and equal playing field in starting,” he says. Echoing this, former Public Protector Thuli Madonsela said at an Association of Black Securities and Investment Professionals (ABSIP) conference in Johannesburg in November 2016 that the existing BEE model needed to be overhauled by incentivising investment in black-owned start-ups over black people taking equity stakes in existing companies. Yet while a 2015 survey by start-up news website Ventureburn revealed that 17% of SA tech start-ups were founded by black Africans – up from the 6% reported in its 2012 survey – most black start-ups still battle to become sustainable. 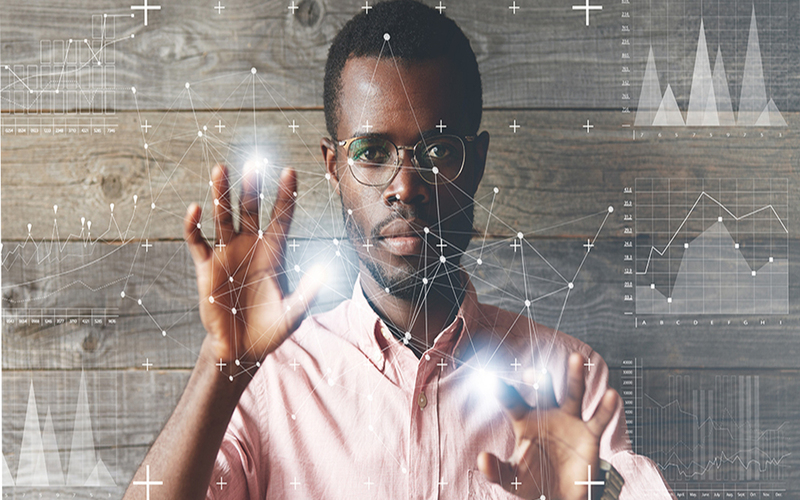 Vuyisa Qabaka, a tech entrepreneur and co-founder of the South African Black Entrepreneurs Forum (Sabef), believes what’s missing are more angel investors in South Africa, particularly those that can invest in talented black entrepreneurs. Speaking at the launch in Cape Town of the SA Business Angels Network, Qabaka said while many white communities had friends or family who might be able to help seed their businesses, black entrepreneurs have few such people to approach for investment. “Talented people, young people that have great ideas should be able to have a couple of conversations and money should be able to find that talent. The problem that we created in our country is that too often that access is limited because of race in South Africa,” he says. Another concern is that employment equity proves a disincentive to skilled black people starting their own businesses and that it has unintentionally spurred more white people to become entrepreneurs. Nazeem Martin, the former managing director of small business financier Business Partners, has long held that employment equity is a disincentive to entrepreneurship. Martin was quoted in Transform SA magazine last year as saying if he were a young black South African he would not become an entrepreneur, “because as long as corporate South Africa is looking to address employment equity quotas I can get a fancy job working for Anglo American or any number of other big corporates”. In addition the Global Entrepreneurship Monitor revealed in 2016 that the share of black Africans as early-stage entrepreneurs declined by a fifth in 2015, over 2014 – while it trebled among white entrepreneurs. Several experts surveyed by the report raised the government’s overemphasis on BEE initiatives as a factor hampering entrepreneurship, particularly with respect to young black South Africans. The experts, however, noted that the enterprise development component of the BEE legislation is having a positive effect in that it is leading corporates to favour more small suppliers, thereby creating more access to markets for small enterprises. However, the report’s authors Mike Herrington and Penny Kew note that in the absence of a large enough pool of skilled black entrepreneurs, this is not achieving close to its potential impact in stimulating and supporting small enterprises. More incubation and support from organisations such as Shanduka Black Umbrellas, which supported 299 black-owned businesses through nine incubators in 2015/16, is therefore key. Mandisa Masango, who runs industrial cleaning company Hula Minerals and Processing servicing clients like Exxaro and Eskom, says since 2014 the organisation’s Lephalale incubator has helped her with business training such as how to better market her business. Masango, an engineering graduate and former Exxaro employee says, she also got help with the various documentation required to get funding for her business. “If it wasn’t for the programme I would have taken such things for granted,” she says, adding that thanks to this she was recently able to get a R900 000 from Hitachi to finance a front-in loader. Today her eight-year old company employs 230 people, 15 of which are full-time staff. She believes the mining charter has opened doors for black businesses. Particularly valuable are the enterprise development programmes that many mining companies now offer, she says. Auditing firm Sizwe Ntsaluba Gobodo estimates that R25-billion a year is available in enterprise and supplier development from both listed and unlisted firms. Were this to be realised, together with President Zuma’s set-asides for small businesses, black entrepreneurs might be in for a boom.